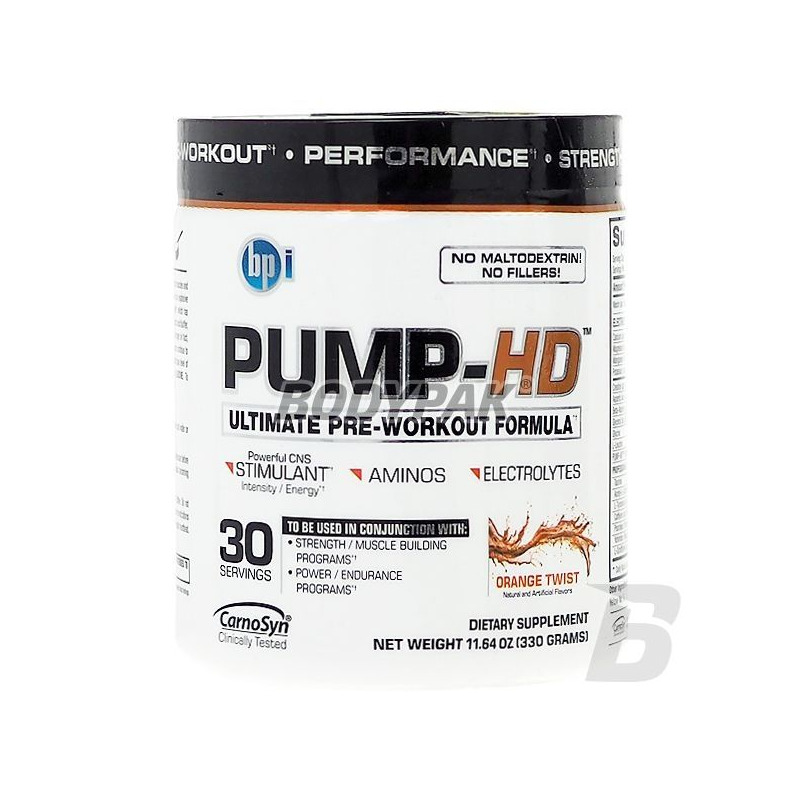 PUMP-HD is a pre-training supplement that increases muscle strength and endurance, giving a very strong feeling of "muscle pump", both during training and afterwards. 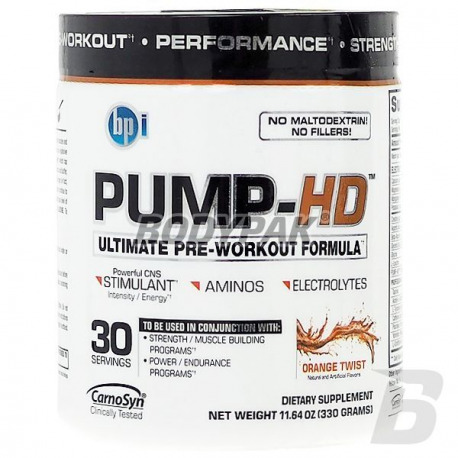 BPI PUMP-HD is a pre-training supplement that increases muscle strength and endurance, giving a very strong feeling of "muscle pump", both during training and afterwards. The product contains in its composition complex electrolytes, anabolic nutrients, stimulants, increasing cell volume and enhancing strength. It works extremely quickly and efficiently, allowing the intensification of training in terms of both a force and endurance, and greatly contributes to the strength and development of muscle tissue. In addition, the composition is enriched with ingredients that cause a strong focus on training and motivation, and provide energy for intensively working muscles and a well-irrigate and protect muscle tissue from catabolism. Contributes significantly to the improvement of nitrogen balance, also allows efficient use of the properties of the contained creatine and supports energy production. The components that trigger anabolic nitric oxide, BPI SPORTS PUMP-HD helps maintain muscle blood flow and ensures their proper oxygenation and nutrition. Application CarnoSyn (beta-alanine) provides an increase in anaerobic capacity during training, delay fatigue, and in combination with creatine, a significant increase in lean muscle mass. 1 serving 30 minutes before workout. Other ingredients: natural and artificial flavors, silica, citric acid, sucralose, Tartrazine.